Read the notice opposite regarding what to enter in your booking request.. Payment is collected at the rink-side. 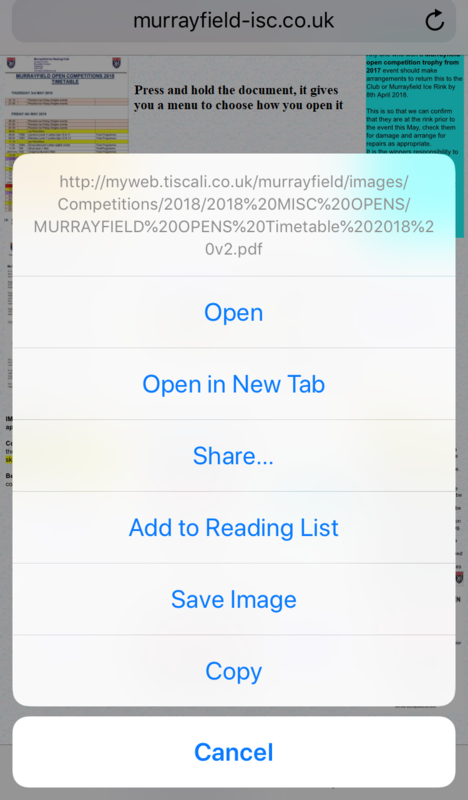 Got an iPhone or iPad and struggled opening PDF documents? Press and hold the document, it gives you a menu to choose how you open it. or you may have to save it to download all the pages. entry lists for Murrayfield Opens are now available. Please can all skaters check that they are in the correct competition. All skaters whose application form was received before closing date have been accepted into the competition. 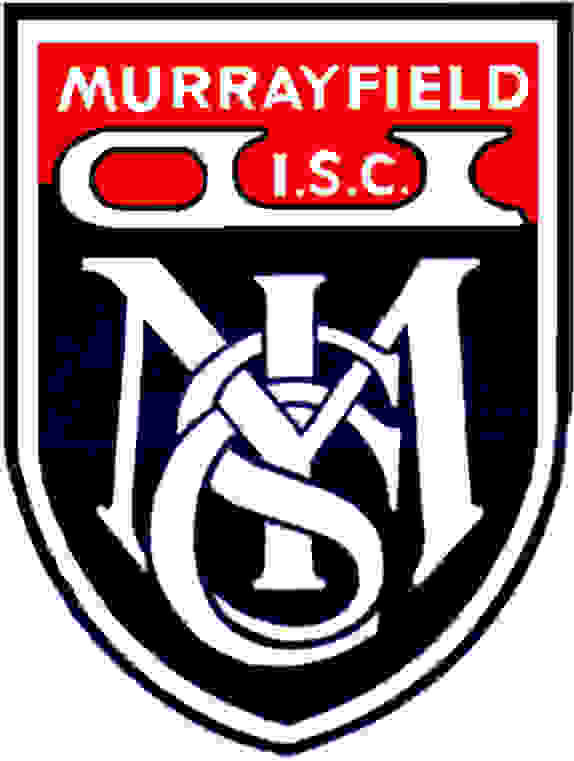 If you are listed in the wrong competition please contact opens@murrayfield-isc.co.uk. immediately. Please remember that tests authorised by NISA or passed in a test session AFTER the closing date cannot be used at Murrayfield. 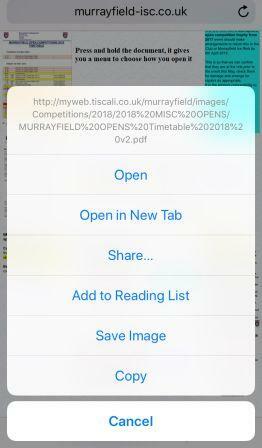 Program Contents Form - PDF version DO NOT email application forms with program contents to ProgramContents@murrayfield-isc.co.uk as they will not be processed. IMPORTANT when completing the application form. Competition/Event No's at the top of the page must contain the event you are skating in. Email is not a secure form of communication so please do not email any information containing addresses, dates of birth or the likes. So do not email this application form.